Jürgen Klopp has opened up on his 'spontaneous' decision to hand Virgil van Dijk a Liverpool debut against Everton in January, revealing he only made his call on the morning of the game. Just four days after the Dutchman's arrival from Southampton was secured, the Reds faced their local rivals in an FA Cup third-round clash at Anfield. 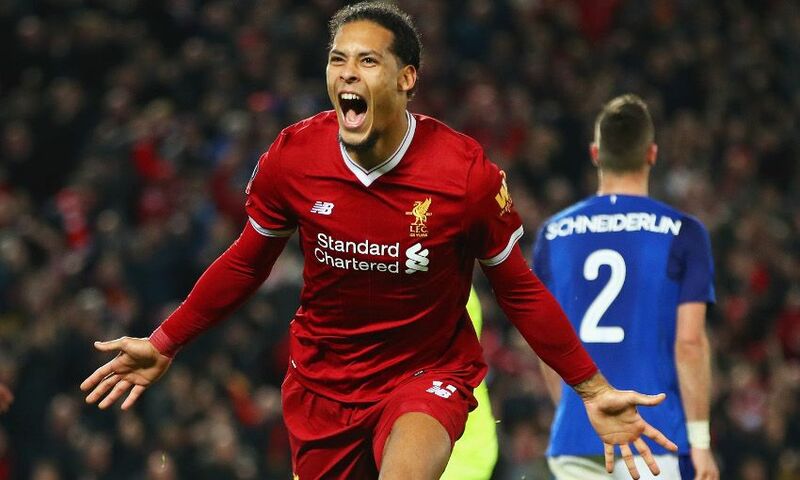 Klopp admits he was initially wary about the idea of throwing Van Dijk straight into the cauldron of a Merseyside derby, but changed his mind in the hours before kick-off. The boss was subsequently rewarded with an 84th-minute winner from his January signing, an outcome he described with no small degree of understatement as 'not too bad'. "It was not a tough decision, it was only a spontaneous decision," he said during an interview for the club's official 2017-18 end-of-season DVD. "It's not that I didn't want him to play obviously, we bought him so we wanted him to play. But it was the first game, against Everton, if something goes the wrong direction it's not a cool start and we want a good start for him. "But then I thought he's ready for it, so we did it and it was a genius decision! "He scored the first goal, in front of the Kop, so that's not too bad." Exclusive interviews with Klopp, Van Dijk and many more feature on LFC’s official end-of-season DVD.